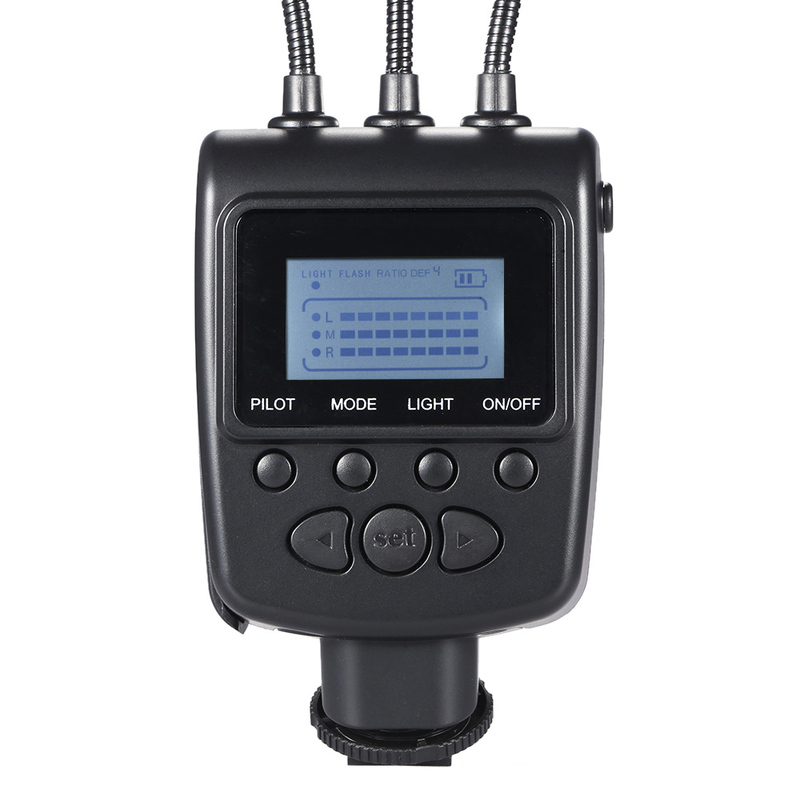 LED macro flash light with GN31 5500K high brightness LED lamp, supports flash and lighting functions. Metal hose connecting, can achieve arbitrary angle adjustment. Large LCD display, easy to operate. 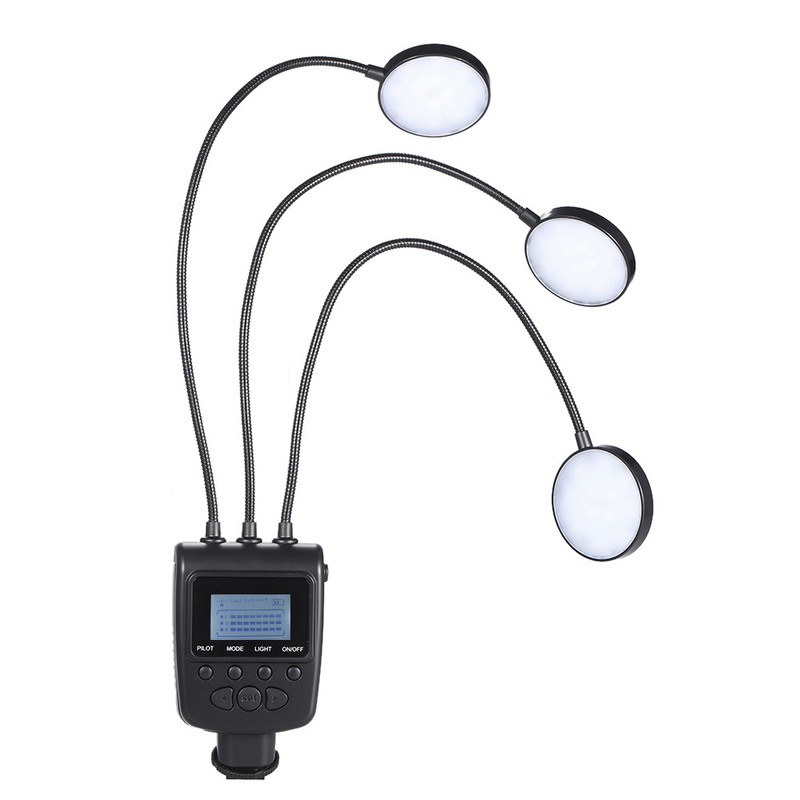 Flexible antenna light support any angle lighting arrangement. 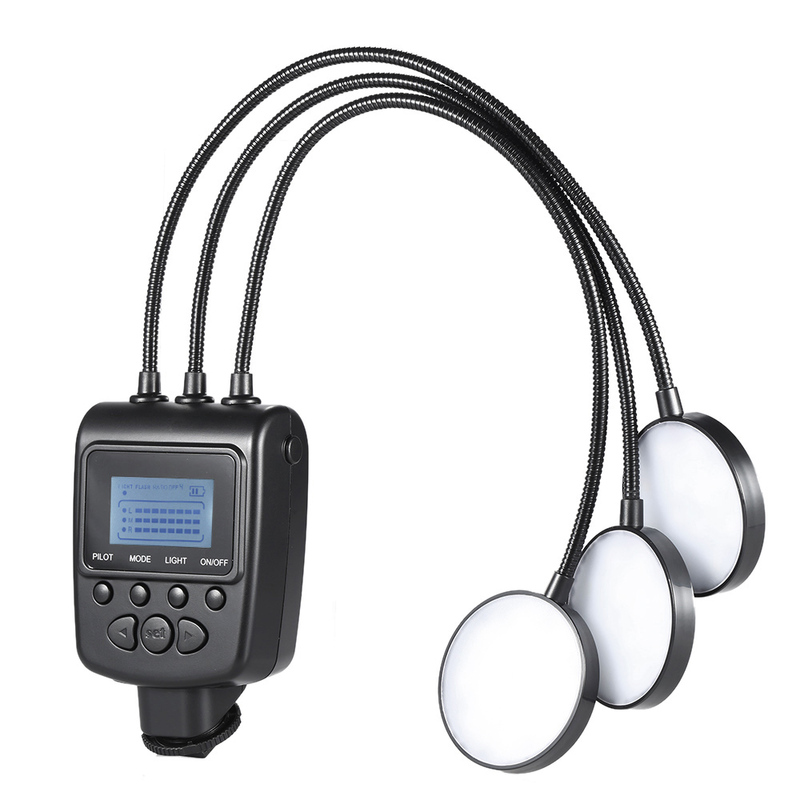 High quality LED support flash and continuing lighting. 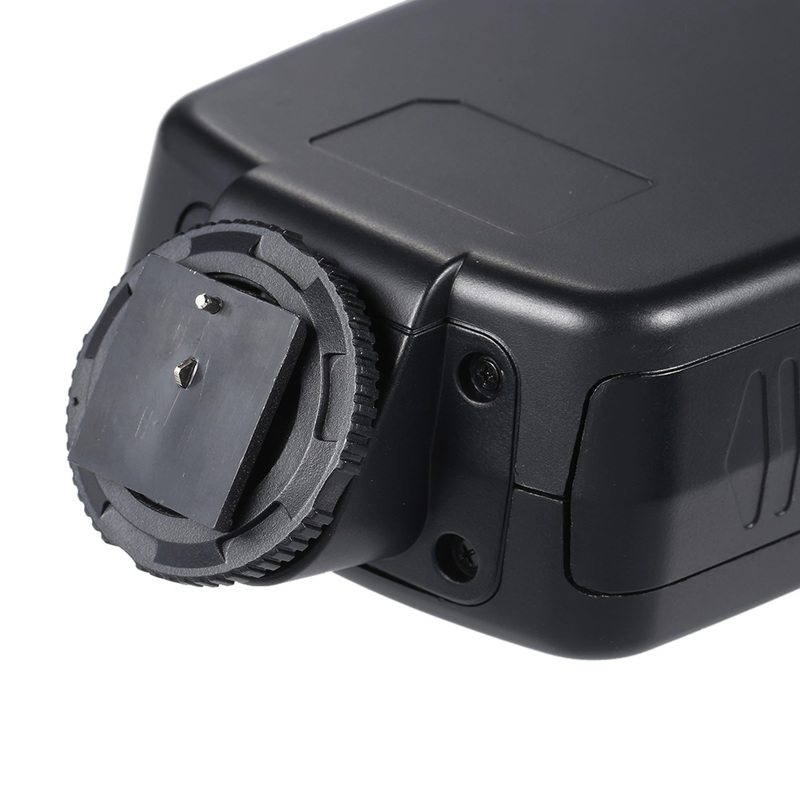 This Macro Flash of GN31 5500K is small size, light weight and foldable, very convenient to store. 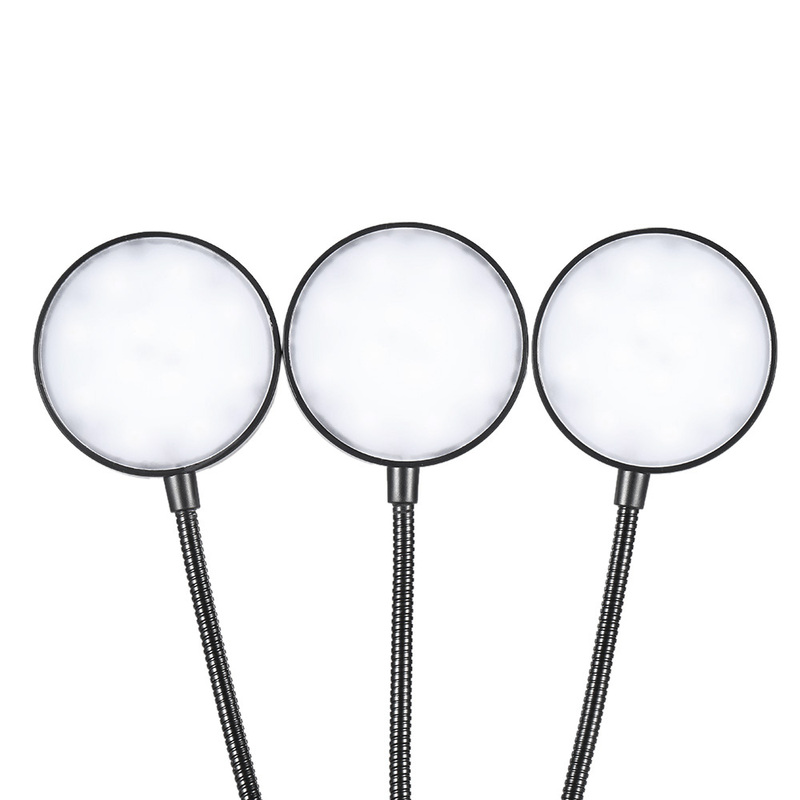 3 groups of flash light with high brightness LED beads, support flash and continuing lighting functions. Equipped with special hot shoe, fits for Canon，for Nikon, for Panasonic, for Olympus and for MI-Sony brand DSLR camera.